The Mets return home after a disappointing road trip, hoping to rebound in a shortened interleague series with the Blue Jays. Toronto has struggled as of late too, losing seven of their last 10. Both teams are looking up in their respective divisions at deficits of more than three games. 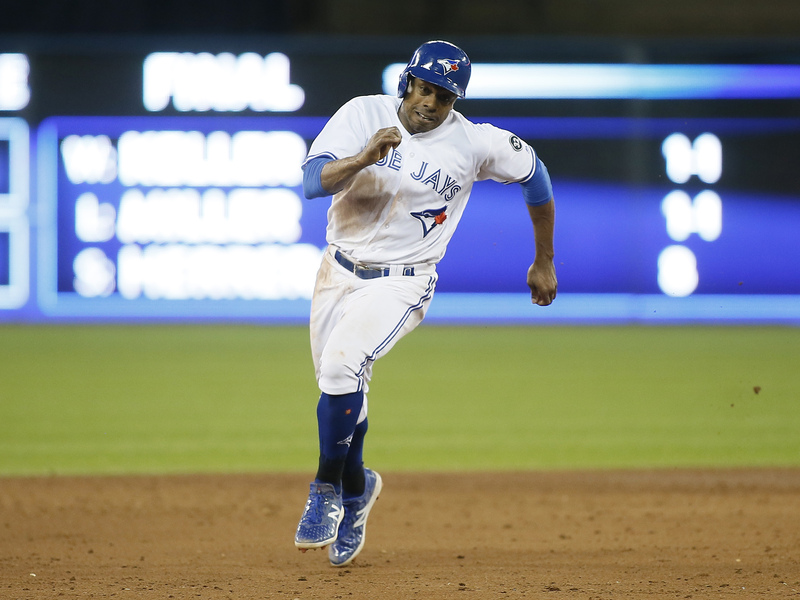 Like the Mets, the Jays are hovering around .500 and have seen contributions from all over the field, but their top performer is someone flying a bit under the radar. One man show? Blue Jays teams of recent years have contained obvious stars like Jose Bautista, Edwin Encarnacion and Josh Donaldson. Only one of those is still on the team, but Donaldson has faced the injury bug throughout the season’s first quarter. Stepping up in a big way has been Kevin Pillar, who has been twice as valuable as any other member of Toronto’s roster, according to WARP (2.0). That’s good enough for the ninth most valuable position player in baseball. Pillar’s normally strong defense is back after a one-year hiatus in 2017 (according to FRAA, -6.1 in 2017), and his TAv of .309 would be almost .050 higher than any previous season. Final Boss’ Final Hurrah: Seung Hwan Oh appears to have rebounded after a rough 2017 (-0.2 WARP) and is seemingly the Blue Jays’ de facto closer for the foreseeable future with Roberto Osuna facing domestic assault charges. His velocity is actually significantly down, though, as he is sitting just 91.8 mph on his fastball after sitting 93.4-93.5 the last two seasons. He is using the fastball less, relying more on his changeup and curve, while introducing a sinker to his arsenal. Somewhat surprisingly, the whiff rate on the fastball is up, but the percentage of balls hit in the air is way up (90% of balls in play in 2018 vs 74% in 2017). A drop in velo and a decrease in ground balls are usually not a good combination for pitchers, so Oh’s success may not last. The Good: Curtis Granderson has walked in 21% of his plate appearances. The Bad: Aaron Sanchez has walked almost five batters per nine. New York enters the home stand with a chance to face three struggling teams. The Blue Jays have lost seven of 10, the Diamondbacks have lost five straight and the Marlins have lost six of seven.